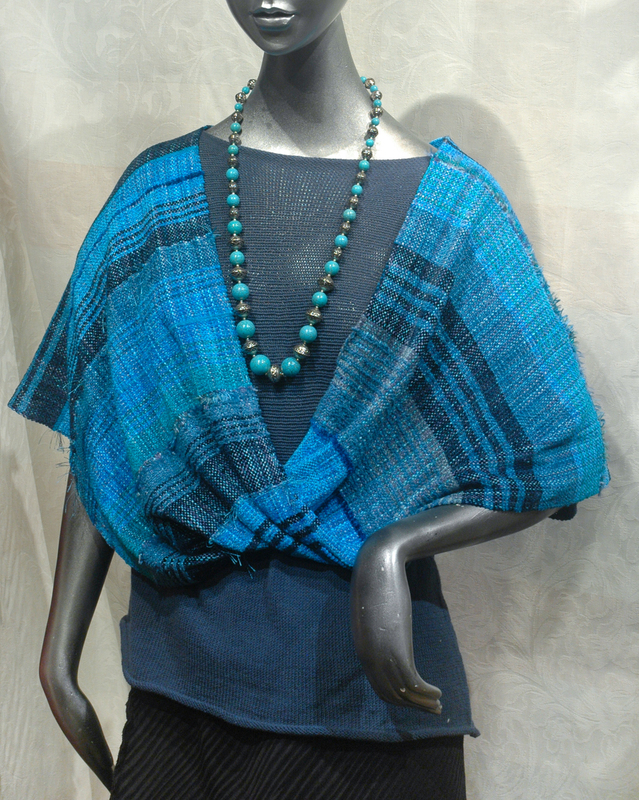 It is summer in Santa Fe -- markets, festivals, concerts, hiking, art openings and opera - something to dress for every day! Summer also means bright hot sun and cool starry nights. Santa Feans and visitors in-the-know know are dressing in layers. 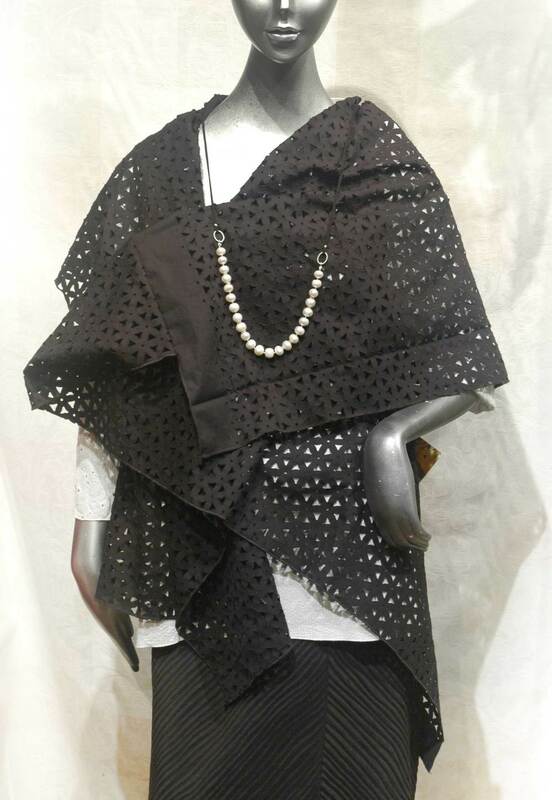 We are pairing our Simple Shells and T-Tops with painted silks, woven wraps, and vests - adding a crochet bowler here and a light scarf there. 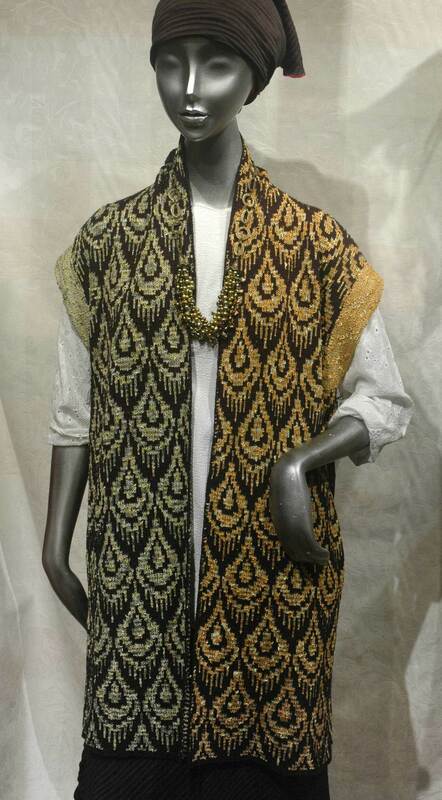 Here's some inspiration and see more at our Gallery page. 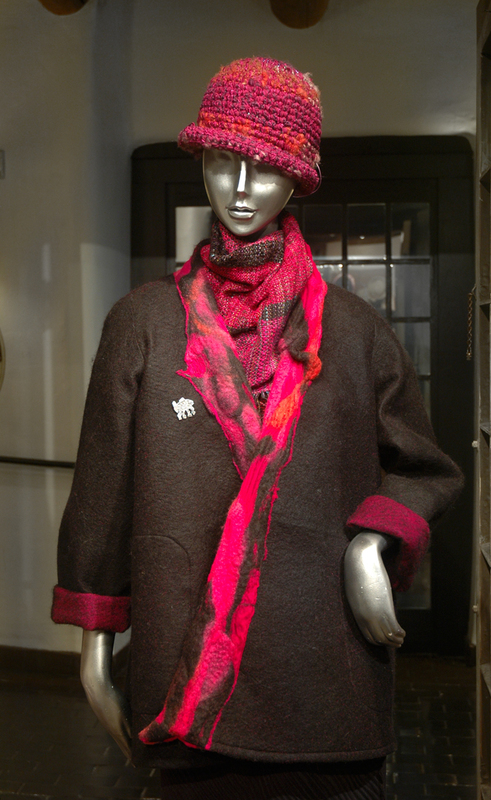 Warm up in soft Alpaca Felt, scarves in all fibers, flowing wraps, wonderful knits, and handmade hats! Check out this selection of our top winter designs on our New Creations page. Come in to see even more!